View cart “Coloured Raine -Marshmallow” has been added to your cart. HUDA BEAUTY PALETTE, ELECTRIC OBSESSION. The most audacious of the mini palettes, the electric palette offers 6 bold mattes and 3 shimmers in bright blues, electric yellows, and neon pinks. Creating dramatic, show-stopping looks can now be effortlessly achieved with just one palette. Each Huda Beauty Obsessions Eyeshadow Palette is packed with a selection of 9 highly pigmented mattes and striking shimmers to create versatile and timeless looks. Available in 4 colour themes – Warm Brown Obsessions, Mauve Obsessions, Smokey Obsessions, and Electric Obsessions – the palettes are super compact and lightweight, quickly earning a top spot in your makeup bag. • The versatility of these palettes allows you to create endless eye make-up looks. • Blend the shadows seamlessly together, using darker shades in the crease, and lighter hues along the brow bone and inner corners of the eye. • Using a smudge or liner brush, apply one of the darker shades along the top and bottom lash line. • With your ring finger, or with fixing spray on an eyeshadow brush, apply the shimmer shade to the centre of your eyelid to amp up the glamour. Four gorgeous blush palettes - each collection pairs two blush shades with a coordinated bronzer and highlighter. 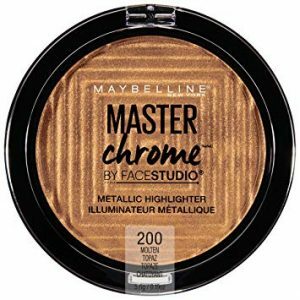 Instantly contour with complimentary shades and blendable color in both matte and shimmery finishes for multidimensional color. Each luxurious, glossy book includes a mirror inside.